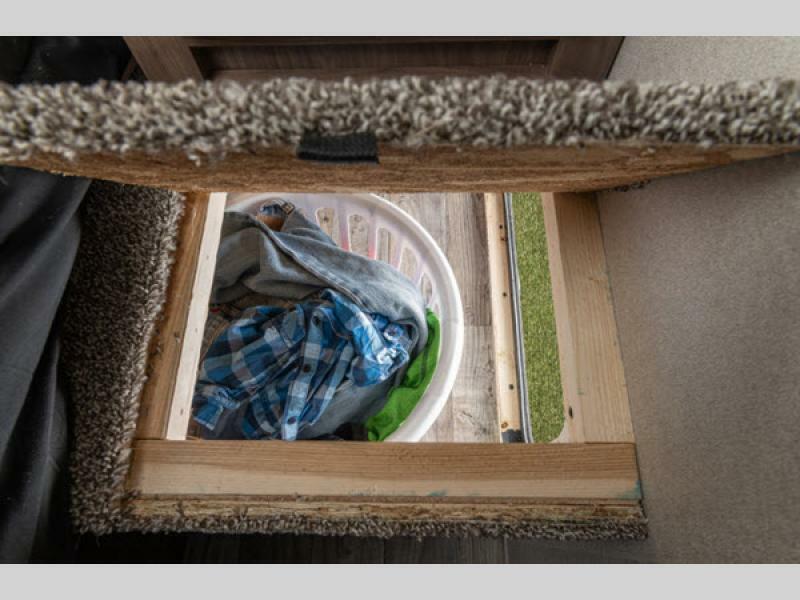 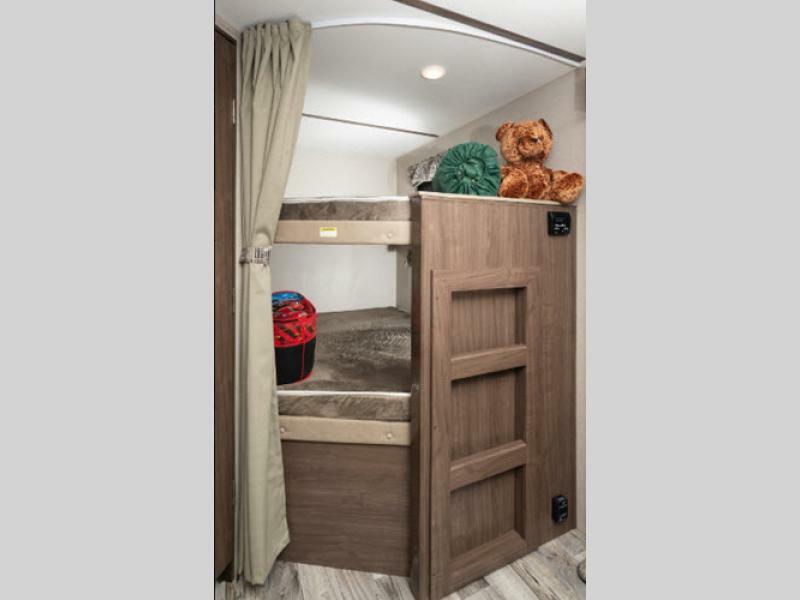 The Keystone Hideout is what you need to do camping RIGHT! 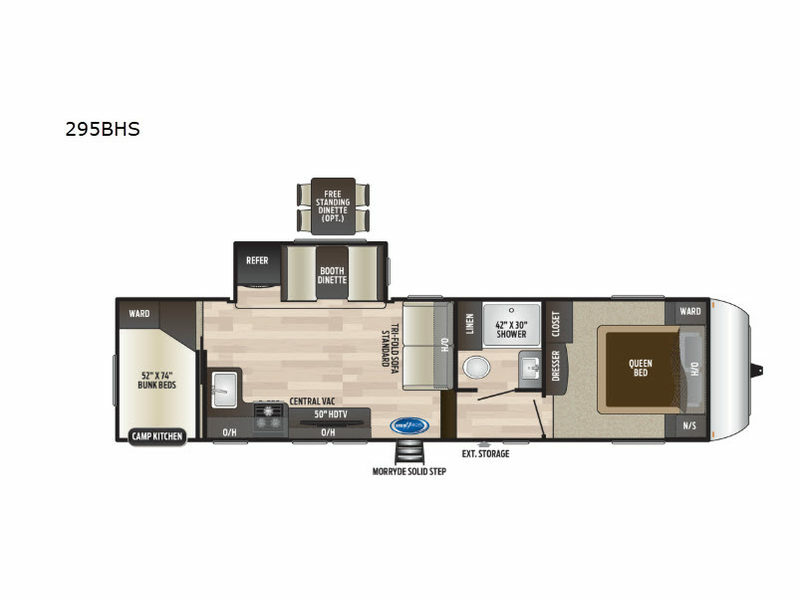 These units feature a combination of luxury amenities, quality features, and camping conveniences all at an affordable price point. 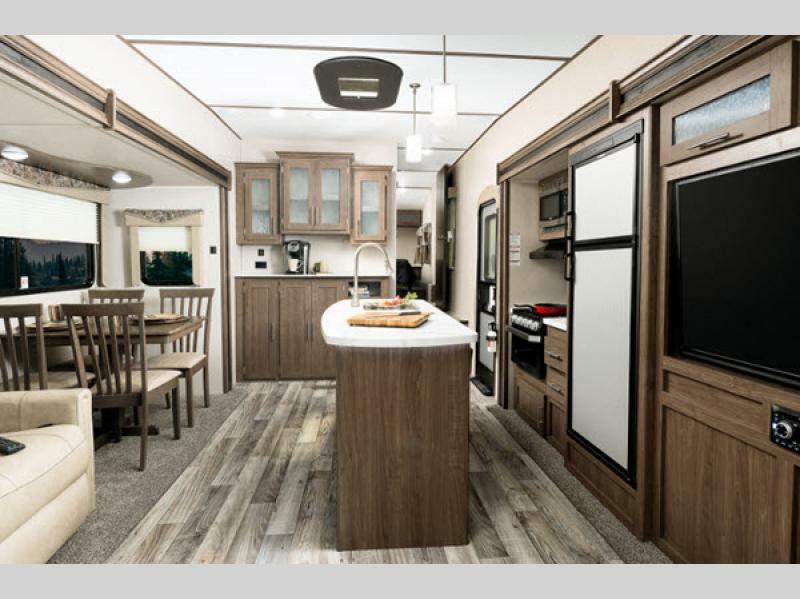 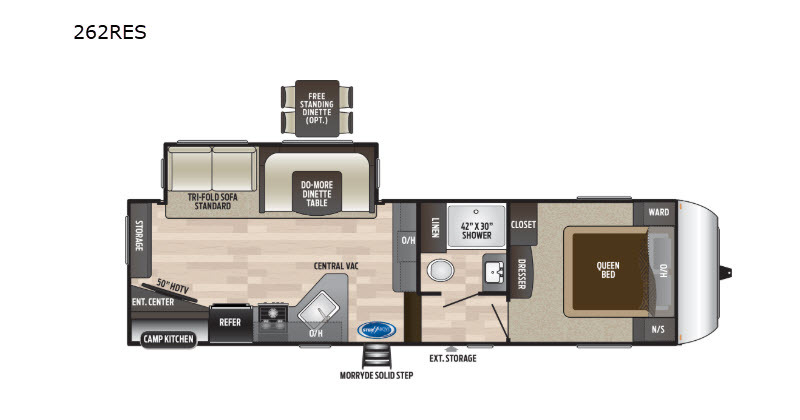 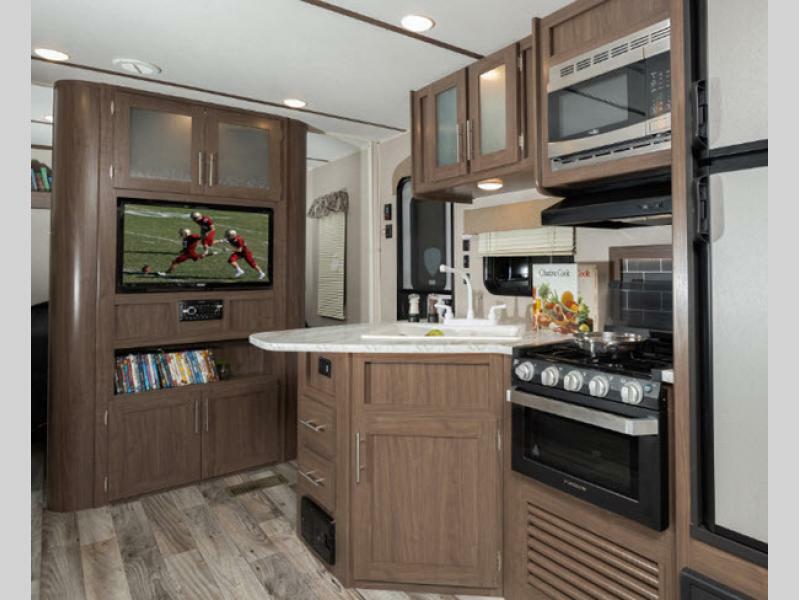 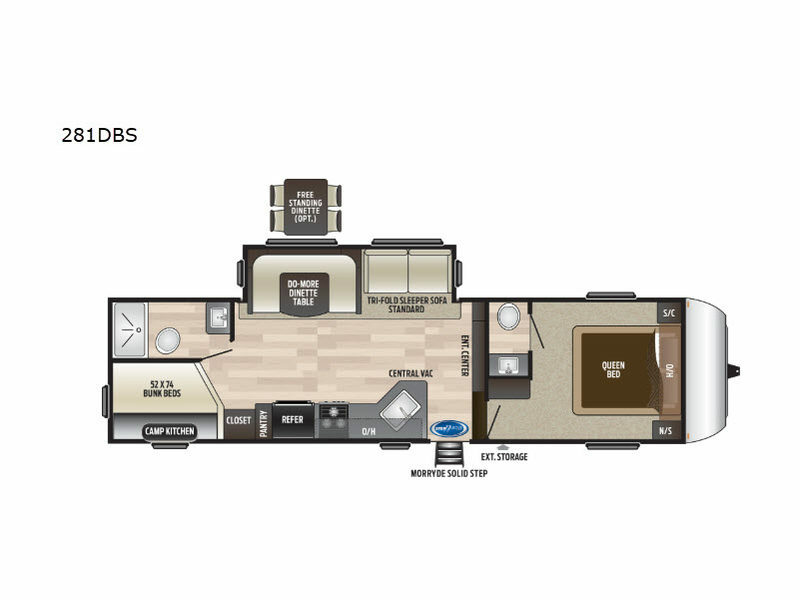 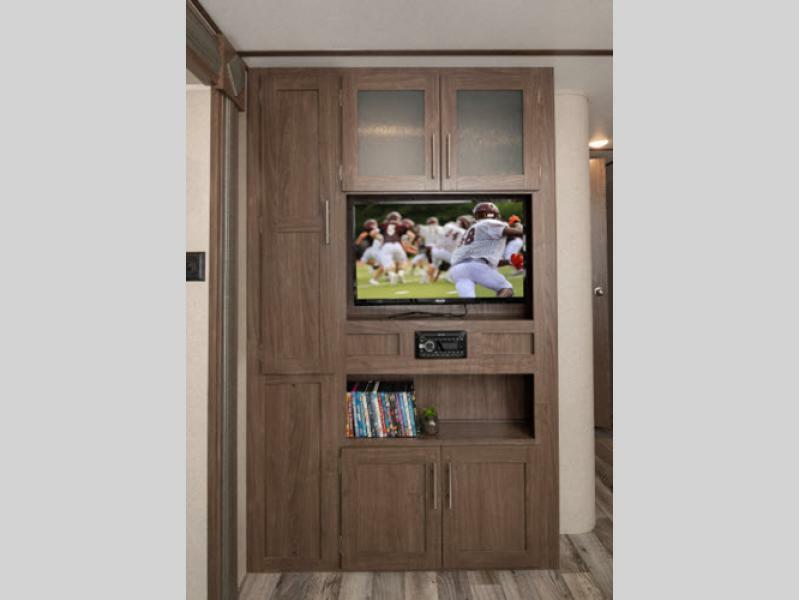 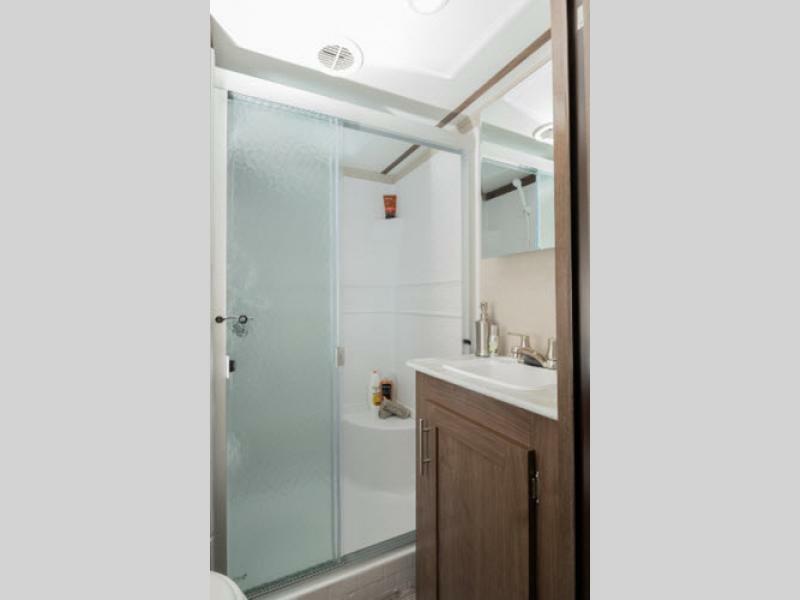 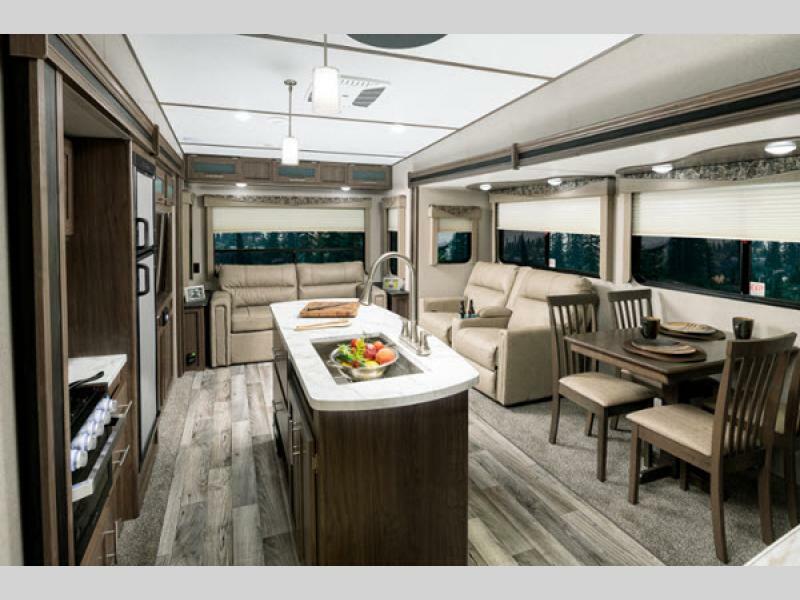 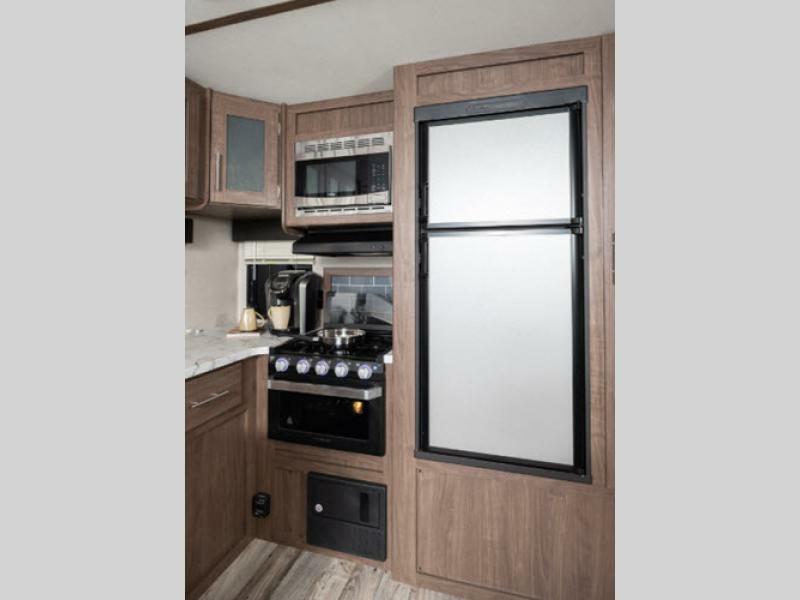 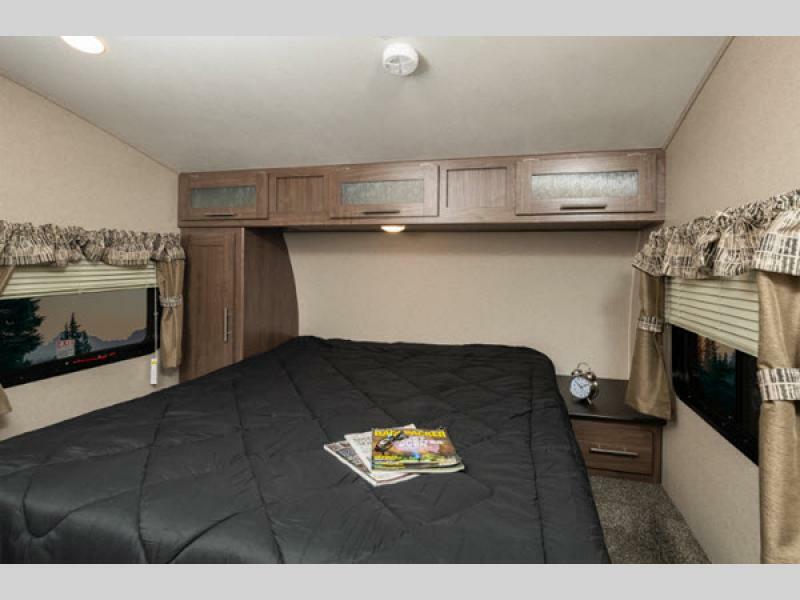 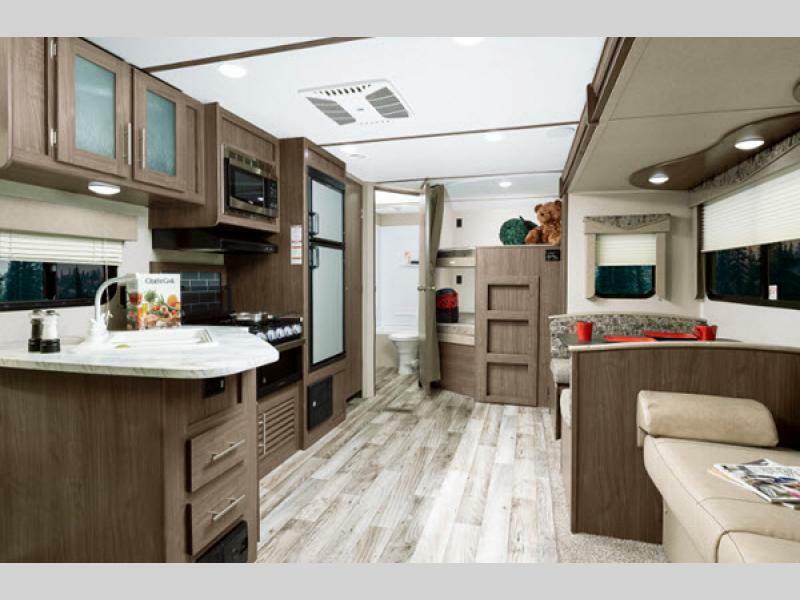 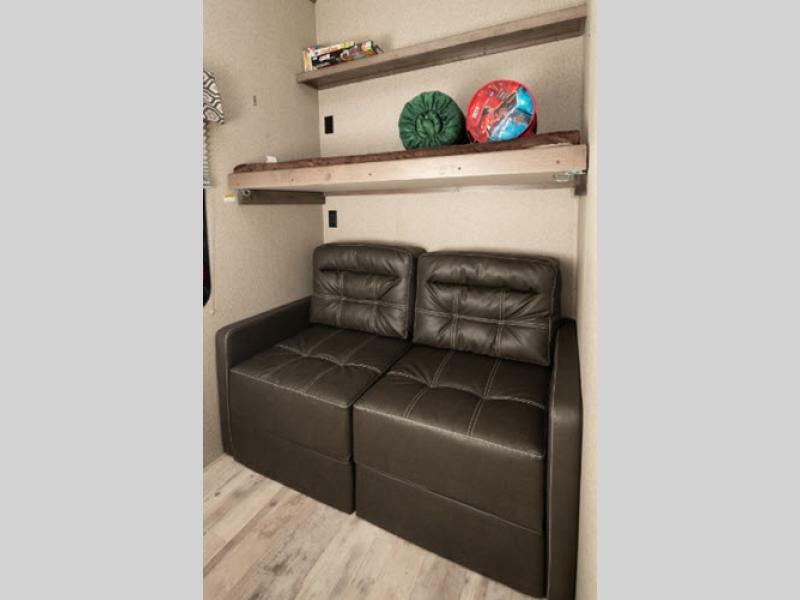 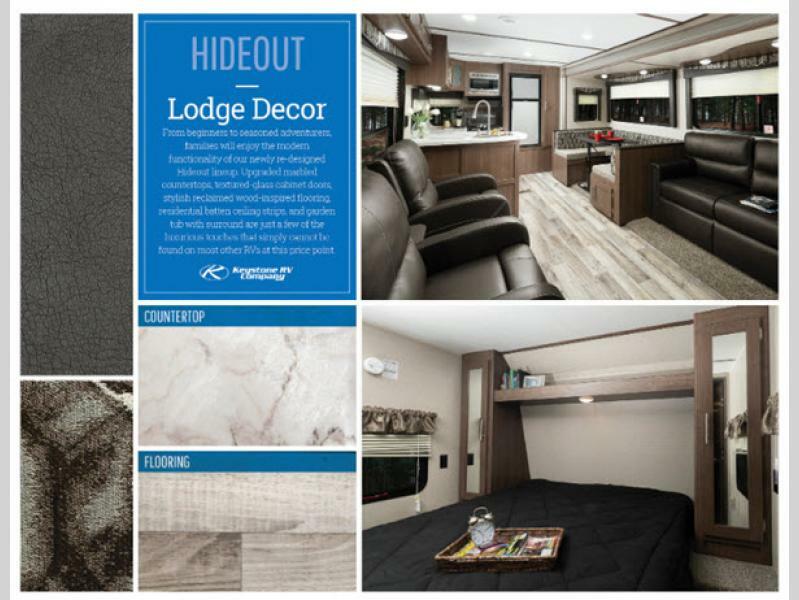 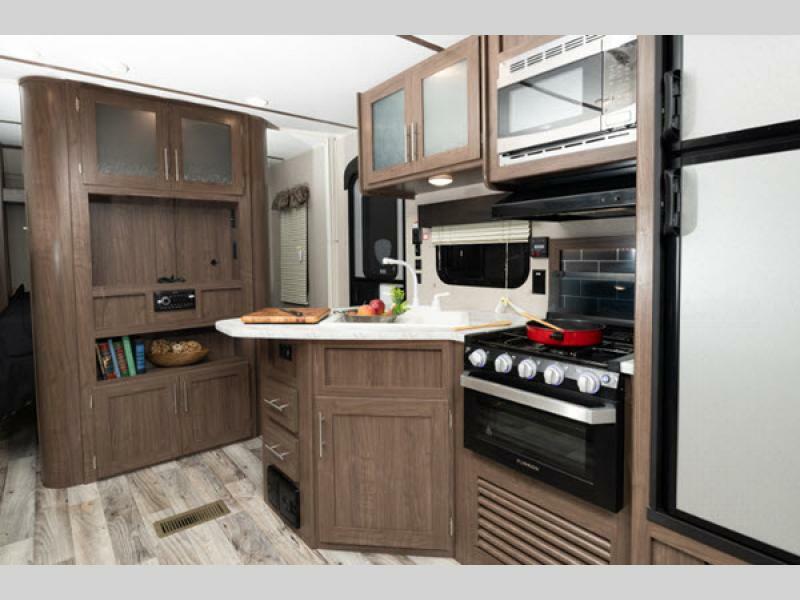 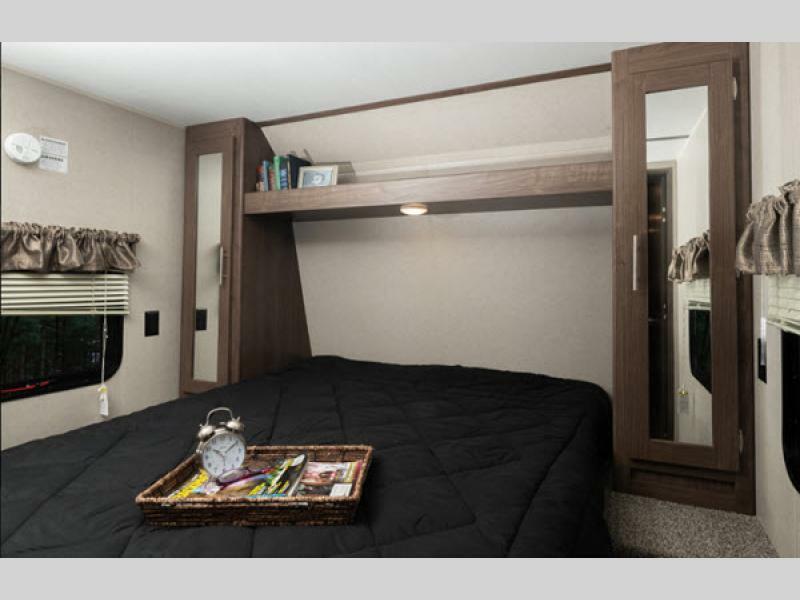 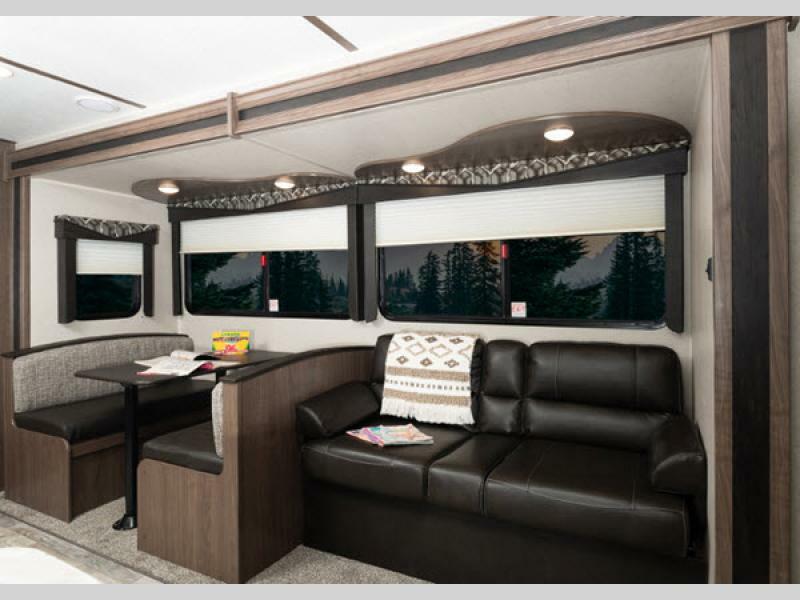 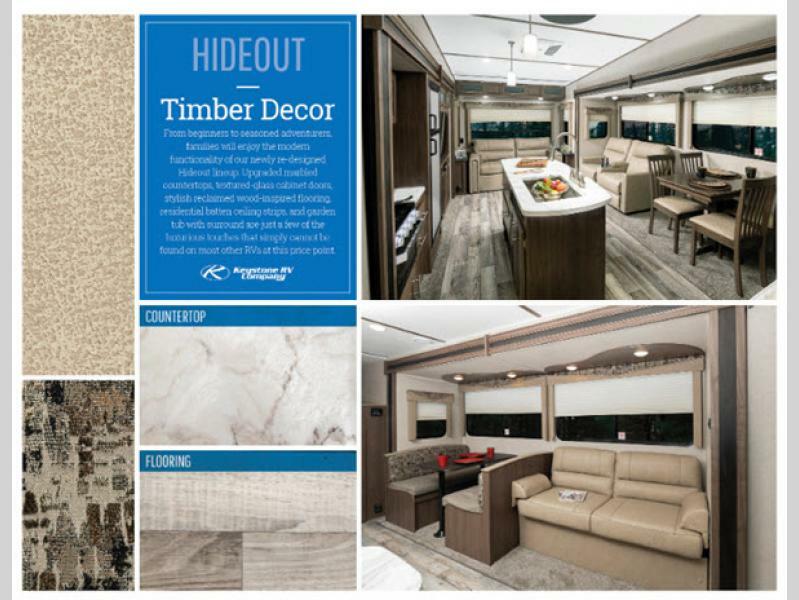 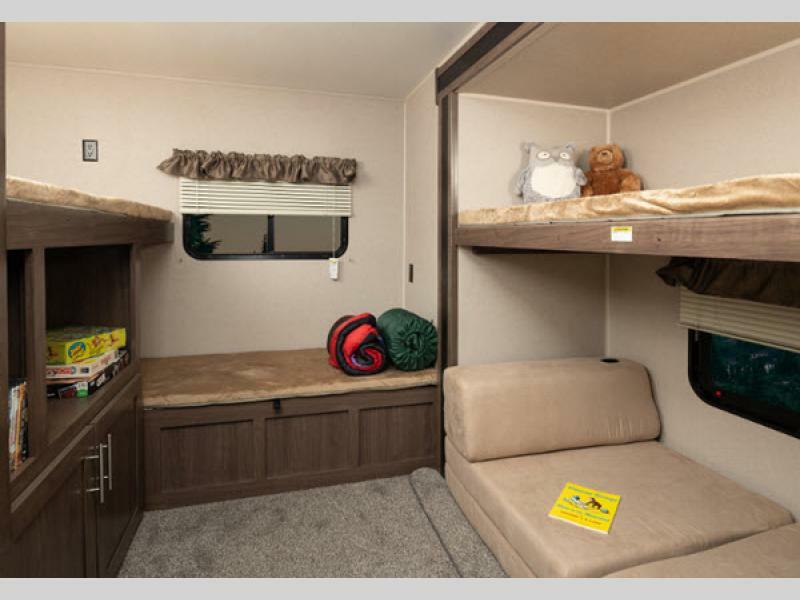 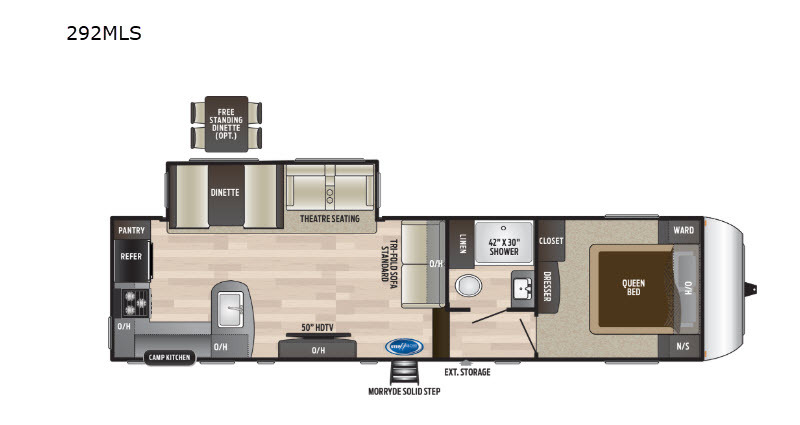 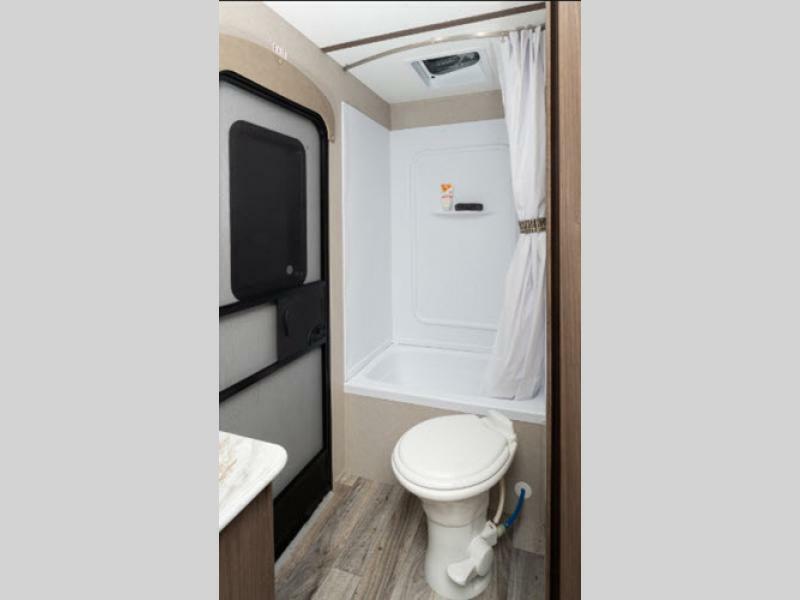 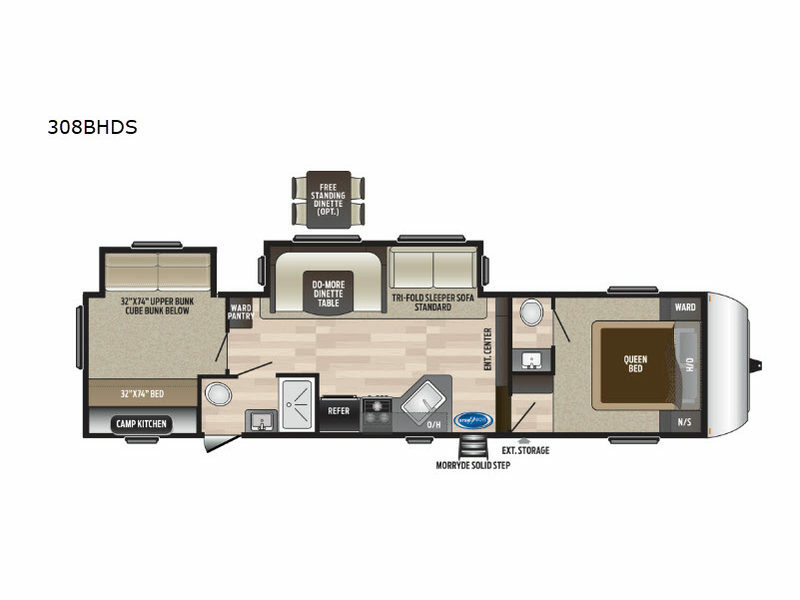 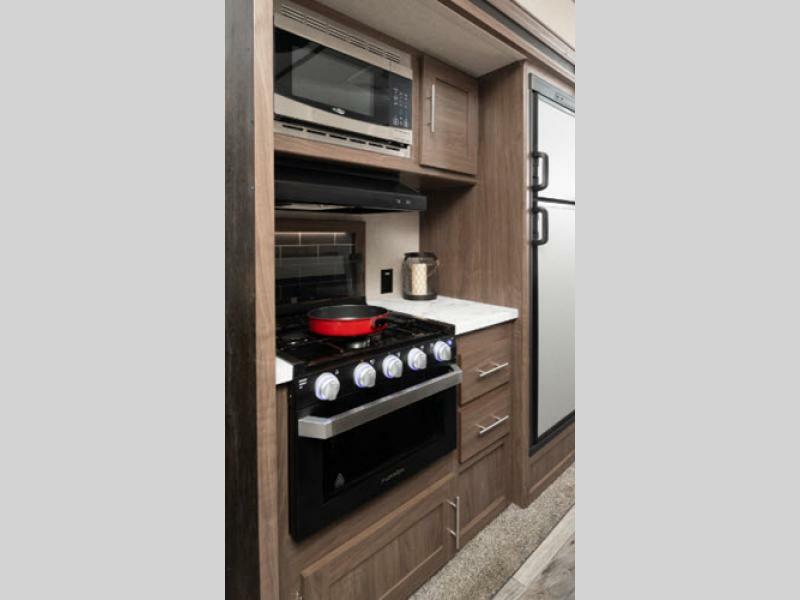 There are several travel trailers, fifth wheels, and even destination trailers to choose from, and they come in a wide range of floor plan layouts and sizes to accommodate any family. 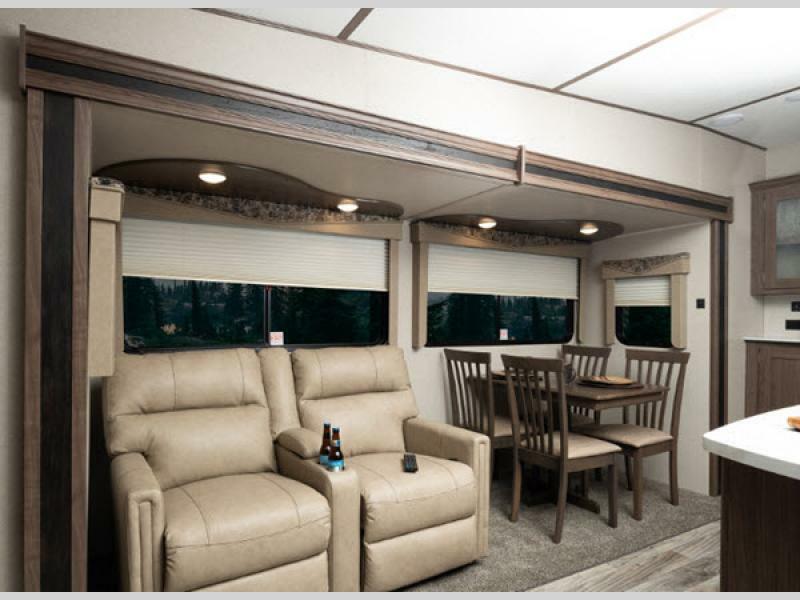 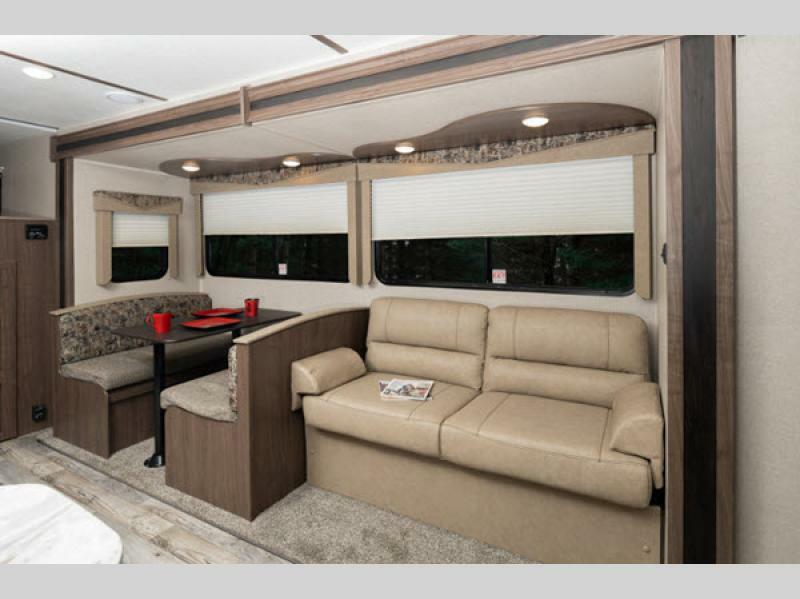 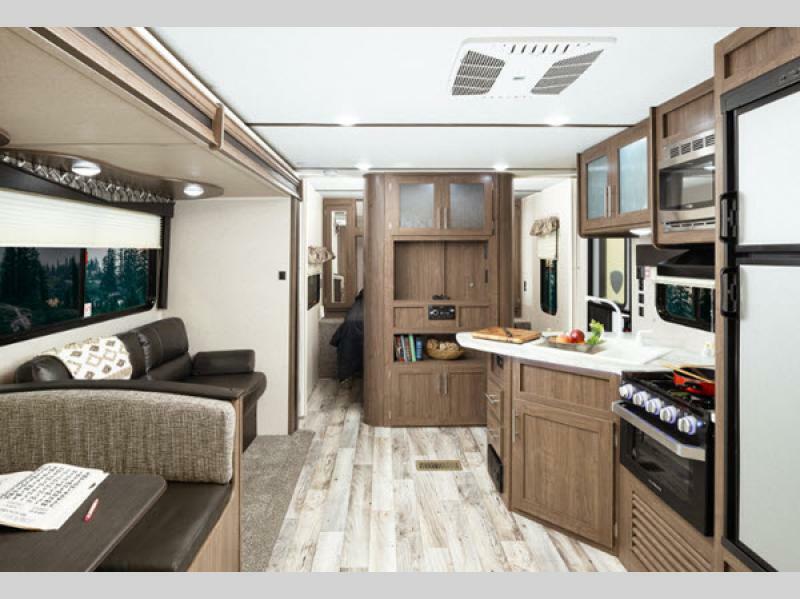 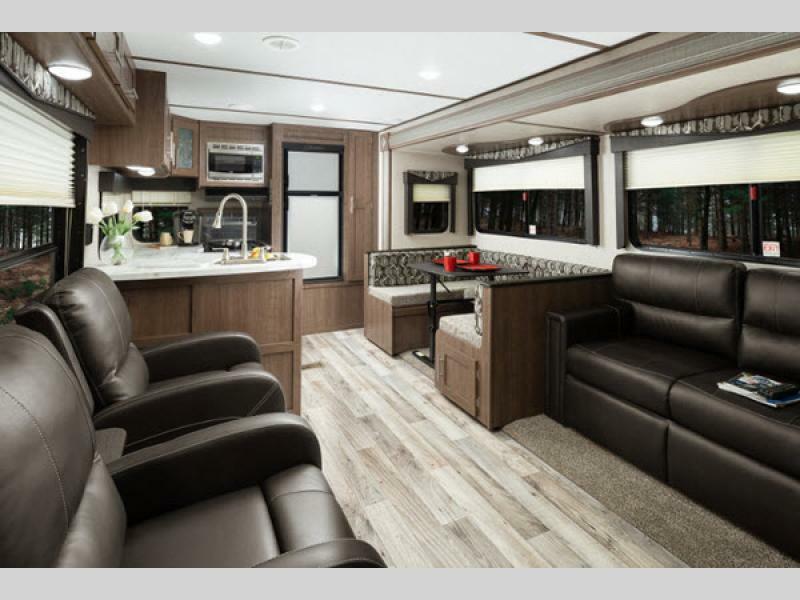 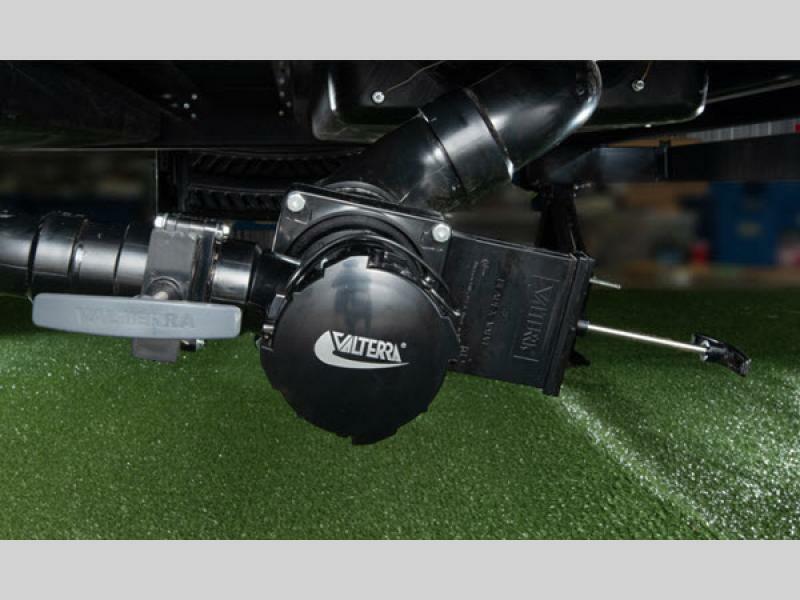 Each model includes a cambered chassis, hurricane straps reinforced structure, and an 8' exterior width, plus many more standard features you are sure to want to check out for yourself. 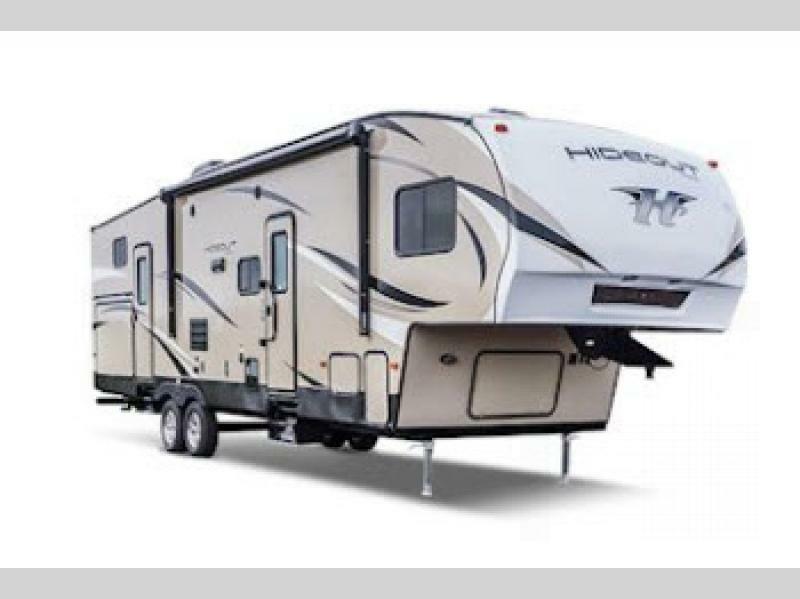 It's time to get the right features at the right price right now with one of these Keystone Hideout travel trailers or fifth wheels! 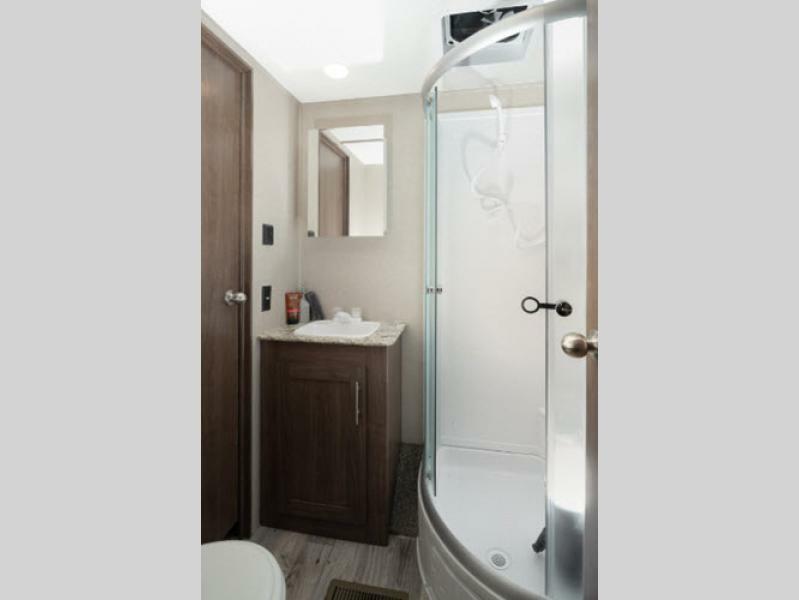 Shower Size 42" x 30"
All standard features and specifications are subjects to change.